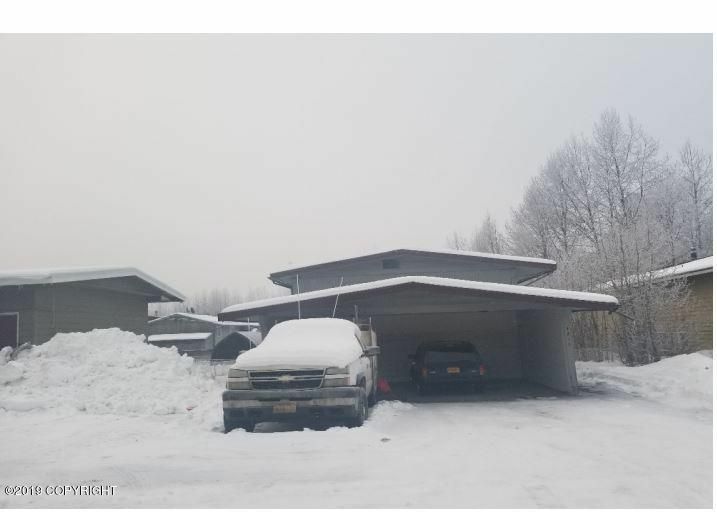 This duplex multi-family residence features two units with a two car carport. Unit one consists of three bedrooms and one bath. Living room entrance. Kitchen with dining area. Hardwood like flooring throughout. Unit two consists of two bedrooms and one bath. Living room entrance. Family room with fireplace. Missing flooring in bedroom. Damaged drywall. Gross living area consists of 2, 756 sqft. East of Sewardd Hwy; South of E. 5th St. E of Merrill Field Airport.